Solon never stopped speaking the truth–and it worked! Meanwhile, I am sometimes told that my outlook is not exactly peachy. In Revelation, the devil, the Beast, the False Prophet, and all their gang, get thrown into the lake of fire and that’s the end of them. They don’t get to come back, ever. This is what God has told us. This is what we must believe. Only thing is, we don’t know His timetable. The coming of the Lord may be another thousand years from now. Meanwhile, it’s a rough ride (and He warned us that it would be). So what do we do? Win or lose, we fight. Sun Tzu tells us there are times when you can do nothing else: “On death ground, fight,” he says. And J.R.R. 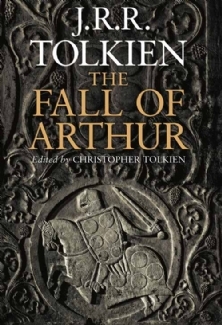 Tolkien used to quote an ancient Anglo-Saxon poem: “Will shall be sterner, heart the bolder, spirit the greater as our strength lessens” (https://www.goodreads.com/quotes/548454-hige-sceal-pe-heardra-heorte-pe-cenre-mod-sceal-pe). If God’s grace be with me, and for as long as He gives me strength, I’ll fight: never to surrender to the social and political fads, the wicked nonsense of this world, which is handed up from Hell to its servants on the earth–from spiritual wickedness in high places. I will not be browbeaten into saying yeah, sure, I’m all for the whole sexual anarchy bit, transgender included. I will not support abortion. I will not say things are true when I know them to be false, because some tyrant threatens me. Those of us who are “old” have an advantage. The rest of the story: as tyrants go, Pisistratus was pretty much top-of-the-line. 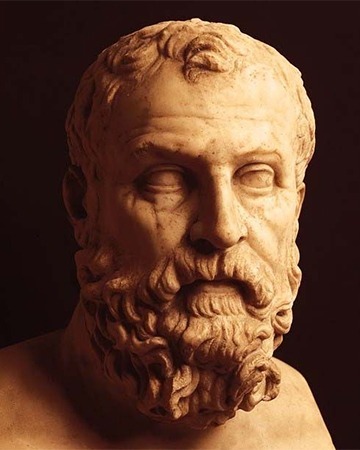 He came to admire Solon, began to listen to him, and wound up canceling or amending many of his worst public actions because Solon had made him see how wrong they were. Who knows what might have happened, had Solon lived longer? The rest of the rest of the story: Pisistratus’ successors were made of shabbier stuff than he, and finally had to be assassinated. Should’ve listened to Solon. So we ought to speak the truth, even if it feels like we’re only shouting into the wind. We cannot know who’ll hear us. We often can’t know how God will use us. He has placed us as watchmen on the walls. As He told Ezekiel, He will hold us responsible for sounding the alarm; but He will not hold us responsible for whoever chooses not to hear it. I recently read a fantasy which made me wonder what the editors were thinking, and whether they were editing at all, or just tossing paper airplanes. I’m not going to give you the title of the book or the author’s name, because I don’t wish to hurt this person. How could they have let pass so remarkable a phrase as “these dastardly henchmen of the wicked Lord Boombatz”? Were they reading the manuscript in their sleep? Or did someone threaten to injure them if they didn’t publish this book? When you write fiction, don’t tell the reader what kind of person a particular character is. Let the character’s actions and words show the reader what his nature is. This is a law of the art. I am unsure whether to call adjectivitis a crime or an affliction. It is certainly an affliction to the reader. Think of the book you are writing as a bowl of clam chowder, to be served to the reader, whom you are also asking to pay for the privilege of eating it. Do you really think the chowder would taste better with a couple of handfuls of black pepper, red pepper, salt, garlic powder, and Mrs. Dash? Do not steal easily identifiable themes from long-established, very popular literary classics. The existence of this law never stops any ninny from filling his book with know-it-all Elves, roly-poly Hobbits, and other items shoplifted from the Tolkien store. Nor is it at all creative for you to write about children tumbling into a fantasy world through some unexpected portal in a big old house. This is like stealing a BMW with vanity plates and joyriding all over town until the cops catch you, which won’t take long at all. Do not see-saw back and forth between one style and another–especially in dialogue. When a character on Page 46 says, “I tell ‘ee, Marster Jeb, us’ll go a far wee tiddle,” he must not reappear on Page 47 and say, “Fie, my lord! Thou dreamest.” This is to afflict the reader. Well, I’m afraid I can’t answer that question. Maybe the editors and publisher were threatened. Or bribed. Or seriously ill, and didn’t know what they were doing. Maybe they owed money or favors to the author’s in-laws, one of whom just happens to be a major mafioso. So, sure, if you want to write a book that’s just one literary crime after another, go right ahead, no one’s stopping you. You might even get it published–and if not, you can always publish independently. Your book might even become wildly popular and make you tons of money, like Fifty Shades of Grey. A final encouraging word: All of these literary trespasses are easily avoidable by just about anyone. Does King Arthur Matter Anymore? For a thousand years, the story of King Arthur and his Knights of the Round Table, after the Bible, was the story of Western civilization. Before the invention of the printing press, these tales were translated into English, Welsh, French, German, Spanish, Icelandic, Italian, and Russian, and hand-copied into books all over Europe. The first book printed in English was Sir Thomas Malory’s Le Morte D’Arthur (“The Death of Arthur”) in 1485.